More than any other single figure, Thomas Edison was responsible for making moving pictures a practical and commercial business. His Kinetoscope, launched in 1894, became the first moving picture apparatus offered for sale, and provided the inspiration for the leading European inventors, Robert Paul and the Lumière brothers. Moving pictures were not, however, Edison's main concern. He was above all an inventor the inventor of all things modern, with a world-wide reputation for solving every problem that he tackled. After minimal schooling, he started work as a railway telegraphist and (at least according to legend) set up his first laboratory in a railroad wagon. A device for automating telegraphic sending provided the first of the prodigious number of patents which brought him fame and wealth. Known as 'the Wizard of Menlo Park' after the site of his first laboratory, Edison was from the start involved with electricity and its widening field of applications. He developed the light bulb, the storage battery and a large-scale distribution system, and boasted that he had made invention an industrial process. His work on recording began with the carbon microphone, which enabled Alexander Graham Bell to perfect the telephone in 1876, and in the following year led to Edison's Phonograph, the first successful sound recording device. Edison was already a master of public relations, and his speculations about a combination of the telephone and some form of visual transmission inspired a Punch cartoon of 1879, which shows a couple in contact with their distant children by means of a 'Telephonoscope [which] transmits light as well as sound'. After a meeting with Eadweard Muybridge and a demonstration of his Zoopraxiscope in 1888 Edison announced that he envisaged 'an instrument which does for the Eye what the phonograph does for the Ear', and first used the term Kinetoscope. However, his early attempts to record images on a phonograph-style cylinder proved unsuccessful, until an encounter with E-J. Marey in Paris in 1889 pointed the way towards sequential images recorded on a strip moved intermittently in front of a single lens. The team that Edison assigned to work on this project was headed by W.K-L. Dickson and included Charles A. Brown, William Heise and occasionally Frederick Ott and Eugène Lauste. Exactly when the Kinetoscope first emerged, and who played the most important part in developing it, have been matters of controversy ever since Dickson abruptly left Edison's employment in April 1895. That Edison set the goal and supported the research until its successful conclusion is not in dispute, even if it was his custom to claim a personal role in all inventions carried out in his organisation for patent reasons. The Kinetoscope, a peephole viewing machine which showed a film loop lit by electricity and activated by an electric motor, made its debut on 21 May 1891, demonstrated by Edison himself to a meeting of the National Federation of Women's Clubs hosted by his wife. But frames still appeared side by side on a narrow strip with a single row of perforations. By 1892 Dickson and his team had produced a camera, the Kinetograph, which used 35 mm film strips with two rows of perforations and vertical alignment of frames, and a Kinetoscope to match. In December of the same year Dickson supervised construction of a special building at the West Orange site to facilitate efficient production of subjects for the new system. This revolving structure, made of tarred paper and with a moveable shutter to control the entry of light, was soon known informally as the Black Maria - the world's first film studio. The first public demonstration, using subjects taken in the Black Maria including Blacksmith Scene, took place at the Brooklyn Institute on 9 May 1893 and a contract for the manufacture of twenty-five machines was signed in June. But these did not materialise until March of the following year, which prevented a planned promotion as the World's Columbian Exposition in Chicago. After nearly a year of delays, commercial exploitation of the Kinetoscope began in earnest in April 1894. A group of new demonstration subjects had been rapidly filmed, including such vaudeville acts as the dancers Annabelle and Carmencita, the strong man Eugen Sandow, and miniature dramas like Bar Room Scene. At first Edison sold Kinetoscopes and films to all who wished to buy them, but the business was soon channelled through three groups which took responsiblity for different territories: Raff & Gammon, the Lathams's Kinetoscope Exhibition Company, and Maguire & Baucus's Continental Commerce Company. Kinetoscope parlours spread quickly throughout the United States and Europe in 1894-5, until the public appearance of the Lumière Cinématographe at the beginning of 1896 offered a superior image quality and the attraction of group viewing. 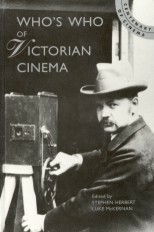 Faced with this competition, Edison arranged to license Thomas Armat's projector, which he renamed the Edison Vitascope, and held his first public screening - with as much publicity flair as ever - on 23 April 1896 at Koster and Bial's Music Hall on Broadway. Over the next five years Edison seems to have taken little personal interest in his moving picture business; and in 1900 he was on the brink of selling it to his rivals, American Mutoscope and Biograph, before cancelling the deal at the last moment. The arrival of Edwin S. Porter at the Kinetograph department in 1900 led to a rise in the quality and ambition of Edison's production, culminating in such landmarks as The Life of an American Fireman and The Great Train Robbery (1903) and The Dream of a Rarebit Fiend (1906). But for the most part Edison's output appeared old-fashioned. While his rivals invested in longer and more spectacular films, Edison stubbornly tried to defend his claim to hold all the important USA motion picture patents, ruthlessly prosecuting newcomers to the business. In 1908 he adopted a different tactic and invited his competitors to form a cartel, the Motion Picture Patents Company, which would resist newcomers. Despite this truce, Edison production and equipment sales remained sluggish and he preferred to invest in developing a Home Projecting Kinetoscope in 1911 rather than venture into the new longer films. 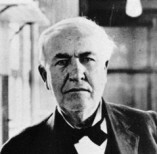 After the MPPC's monopoly was legally overthrown in 1915, it was only a matter of three years before Edison sold all his remaining motion picture interests, although his interest in new media remained strong to the end of his life.